Tammi Zimmerman is a licensed massage therapist and energy practitioner. 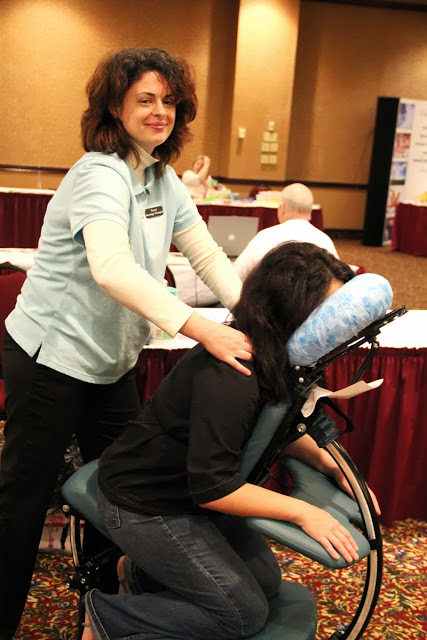 She is a graduate of the Massage Therapy Training Institute (MTTI) of Kansas City, Mo, and is Nationally Certified in Therapeutic Massage and Bodywork (NCTMB). Her training includes: Swedish Massage, Muscle Release Technique, Reiki I & II, Prenatal Massage, Elderly Massage, Chair Massage, Sports Massage, Reflexology, and many others. This variety of natural health modalities allows her to choose the techniques that best meet your health care needs.